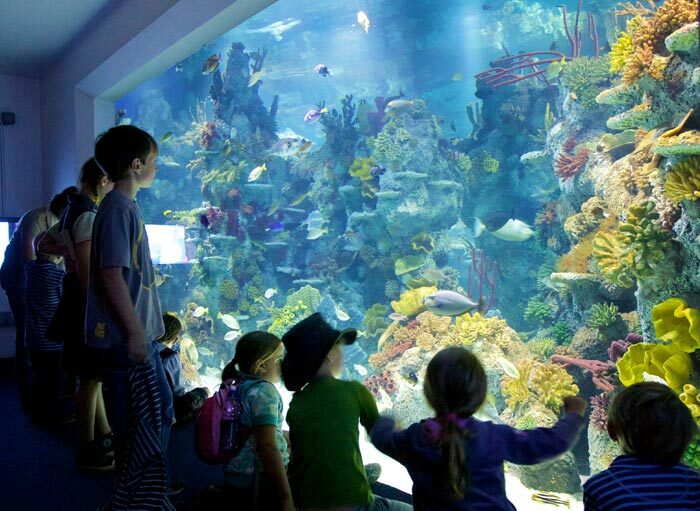 Bristol Aquarium is home to around 5,000 animals and each species has its very own specific needs and requirements. From sensitive seahorses to hardy crustaceans it is really important that we adapt their environments to best suit their lifestyles. Animals are adapted to cope within a particular environment, whether that is the ever-changing tides on the coastline or a mangrove forest with its vast network of roots and hiding spaces. One way that we ensure our animals are coping with their environment is to provide naturally-themed displays. Our octopus display has been created to provide lots of wall space for exploration, dens for hiding away and a variety of shells and substrates to play with. Our electric eel display mimics the shallow swamps and river outlets of the Amazon and is small enough for her to capture her prey easily and also to reach the surface to breathe. Did you know: Electric eels breathe air and go up to the surface every 10-15 minutes to take a breath! Intelligence under the sea is something that is often overlooked however studies have shown that fish are capable of complex behavioural interactions and understanding the world around them. 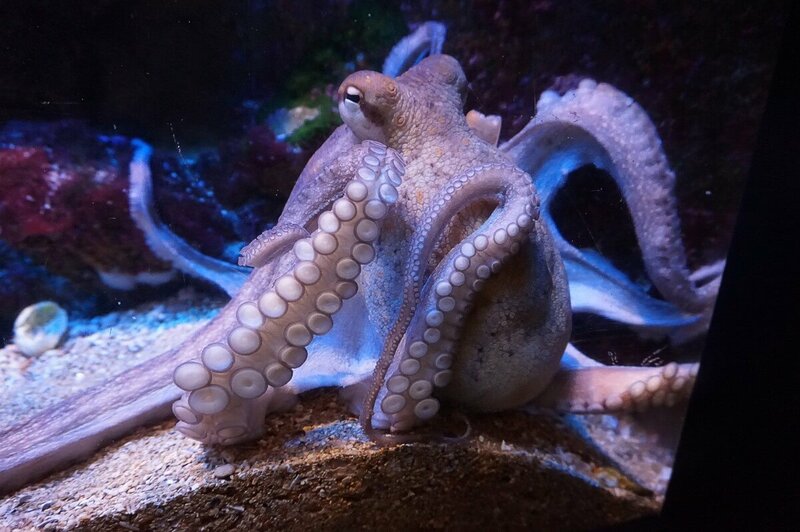 Our Giant Pacific Octopus is trained and interacted with every day. One of the things we do is a physical interaction session where we encourage our octopus to come to the top of the tank and play with us. This allows us to visually health check with ease and also get them used to seeing our faces. We use a range of toys to encourage our octopus to solve puzzles for access to food. This keeps them active and stimulated. Did you know: Octopuses are capable of individual human facial recognition? Our animals are provided with a whole range of enrichment to keep them mentally stimulated. We use a technique called ‘Operant Conditioning’ which means that we gradually build a connection between an object or a cue with the reward of food. We have successfully trained our Port Jackson Sharks to bop their nose against a blue ball for a food reward. This conditioning allows us to individually target-feed them to ensure they are all getting the right quantity of food to follow a healthy diet. 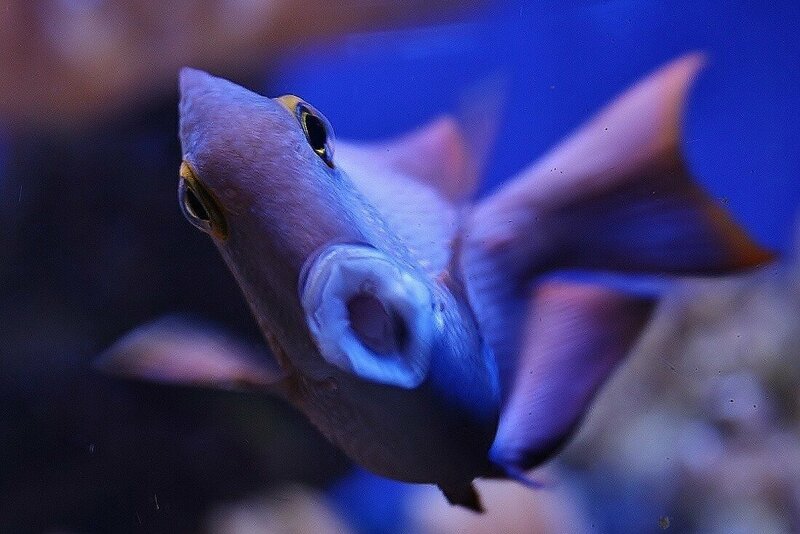 Archer Fish have an incredible natural ability to shoot jets of water using a special groove in their mouths. They do this in the wild to knock insects and spiders from low hanging branches into the water for a quick meal. We encourage this natural behaviour by replicating similar conditions in their display. We have created a target above the water’s surface where we put their favourite foods to be knocked off into the water. Did you know: Archer Fish can account for the refraction of light through the water’s surface and angle their jet perfectly into position! Pufferfish have the intelligence to associate colours and shapes with different meanings – check out some of the amazing videos of pufferfish training online! We have successfully trained our pufferfish to swim to a green hula hoop and wait underneath before receiving a food reward. That’s not all… When placing a green and a white hula hoop in the tank at the same time, the pufferfish know to only go to the green one – amazing! This is just a snapshot of some of the things we do to keep our animals fit and healthy both physically and mentally. 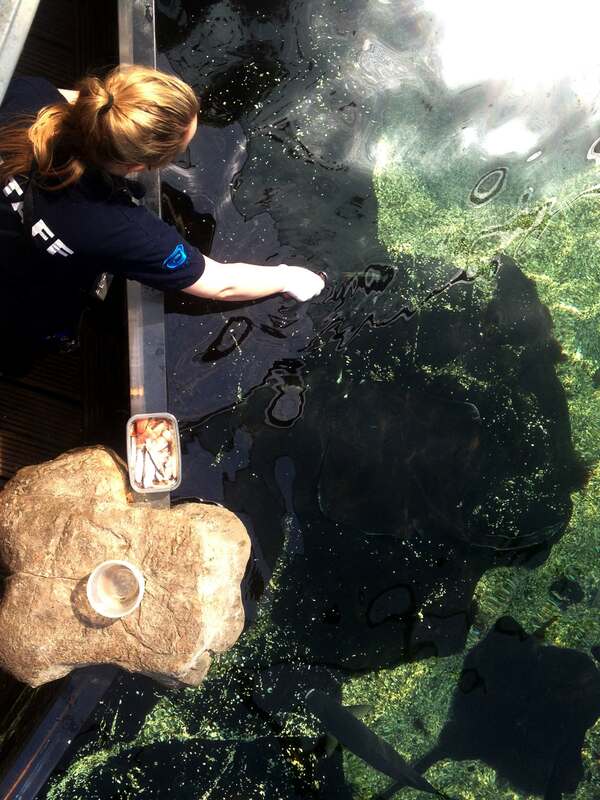 Here are Bristol Aquarium we are committed to keeping animal welfare our number one priority.